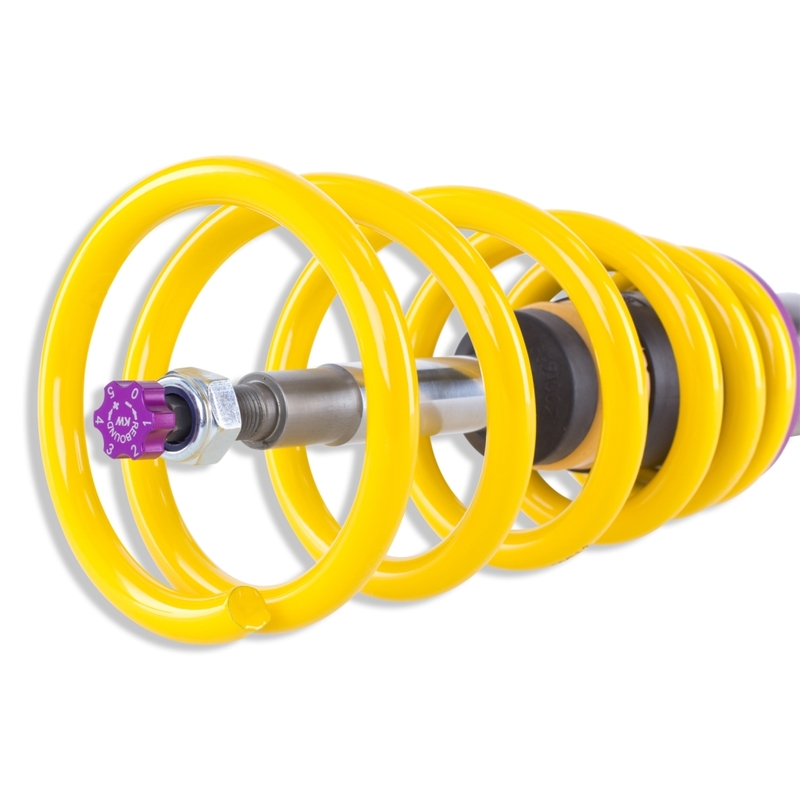 KW automotive, the suspension manufacturer, is one of the few suppliers that develop coilover kits for many cars from Mercedes-Benz. 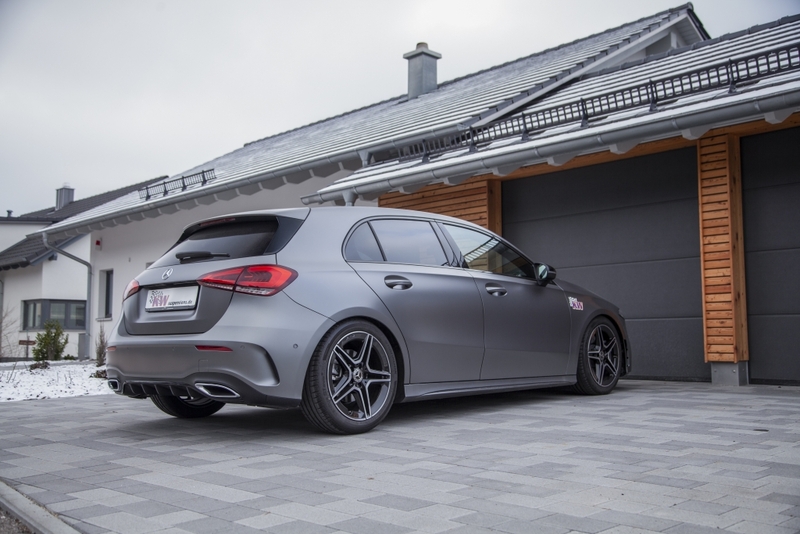 The Variant 3 is also now available for the latest Mercedes-Benz A-Class (W177). 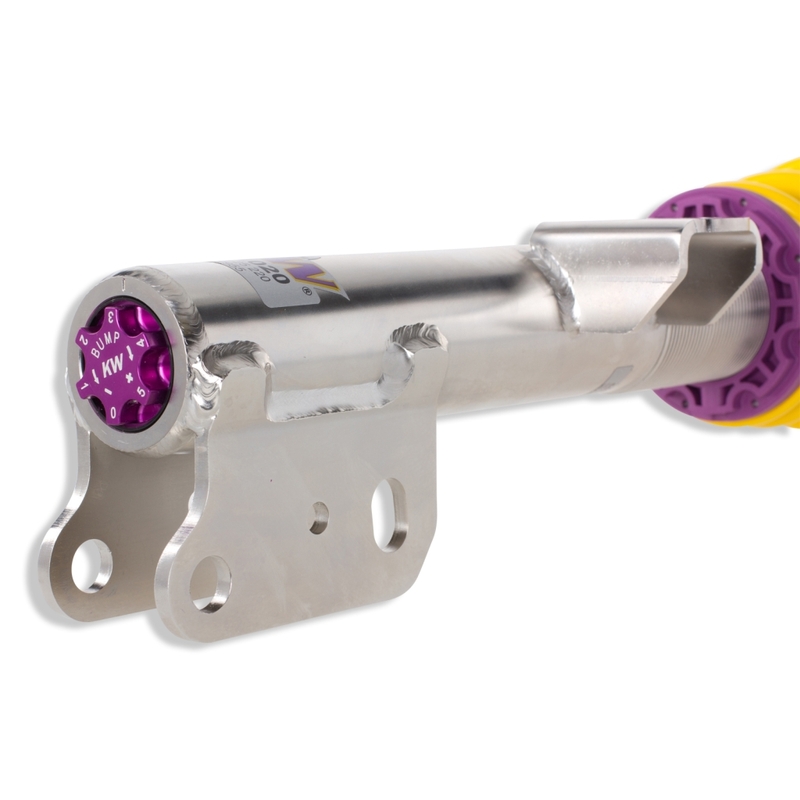 Drivers with KW coilover suspensions installed, benefit from our motorsport technology applied for the road. 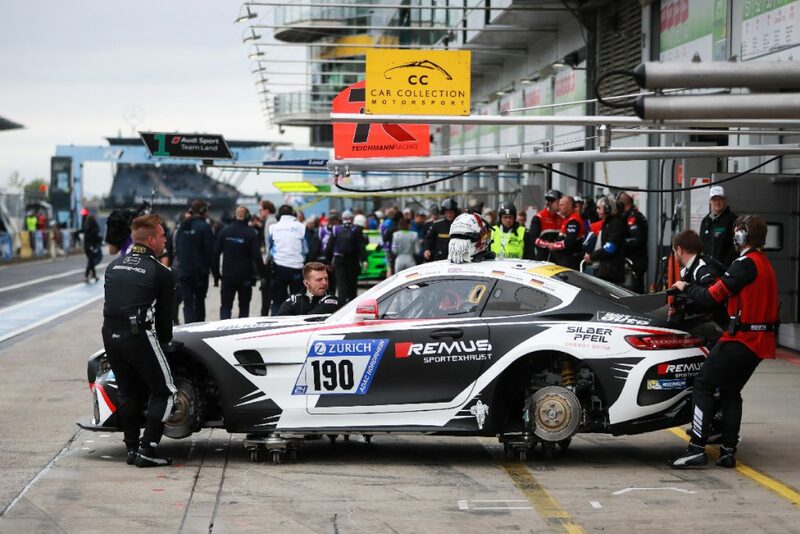 Many race cars like the Mercedes-AMG GT4 are equipped with our KW suspension components. 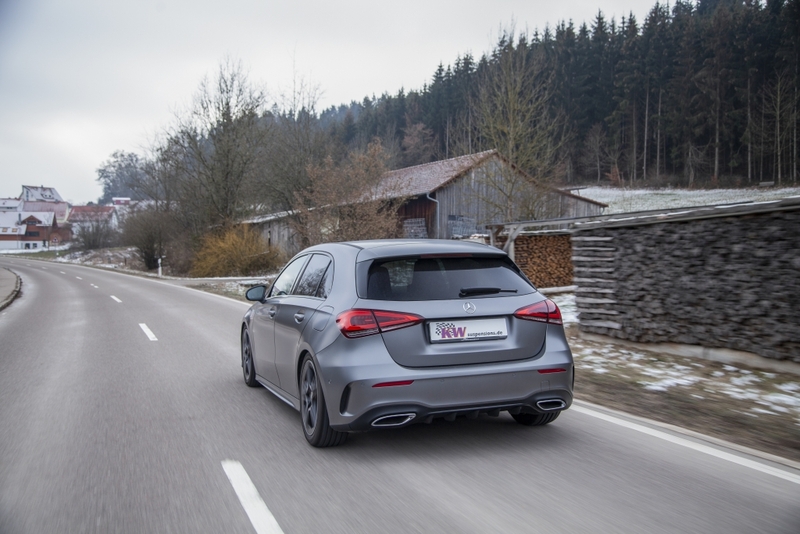 Just like the KW motorsport suspension, the Variant 3 coilover kit for the A-Class has a separate rebound and compression damping adjustment. Other coilovers available for the Mercedes-Benz A-Class do not have this dynamic KW damping technology. There are many advantages of the patented KW development. This makes it easy to adapt the driving behavior to the respective driving demand. 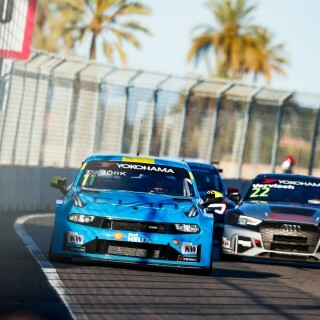 Higher rebound forces increase the handling, while lower rebound forces ensure increased driving comfort. The adjustment range of the rebound forces are 16 clicks. 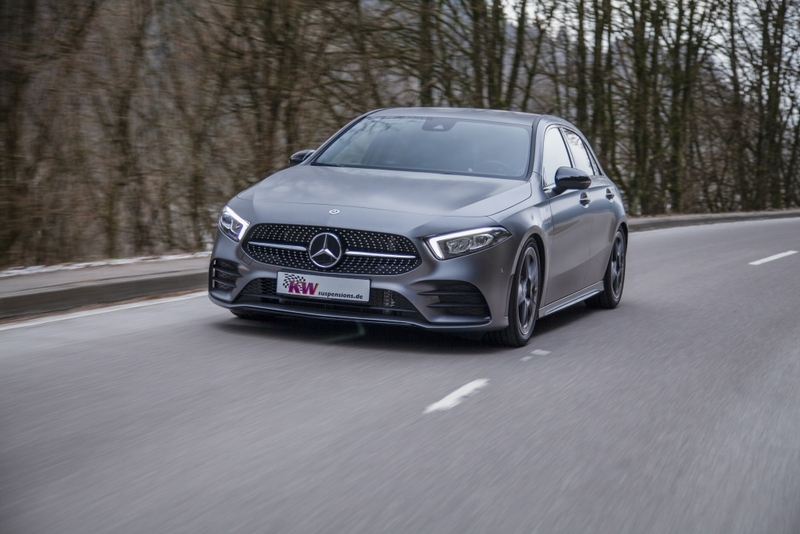 If the compression damping forces are increased, the traction is improved by the higher tire grip and it can further influence the handling characteristics of the A-Class. We have an adjustment range of 12 clicks in the rebound. 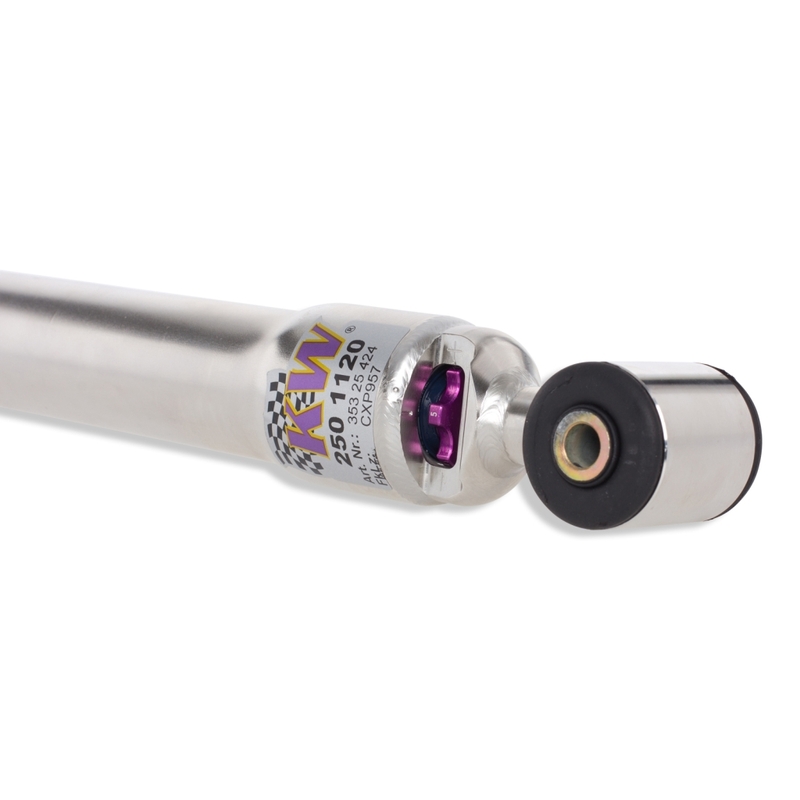 High speed compression valves are also pre-configured for our dampers. In the case of sudden high piston speeds, the spring pre-tensioned needle valve and the spring pre-tensioned main valve open to their maximum valve cross section, to avoid with its blow-off characteristics undesired progressive force increase in the high-speed range. 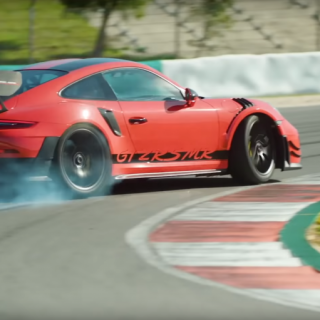 This allows a better bracing of the vehicle body and at the same time at high wheel acceleration offering more comfort than with conventional valve technology. 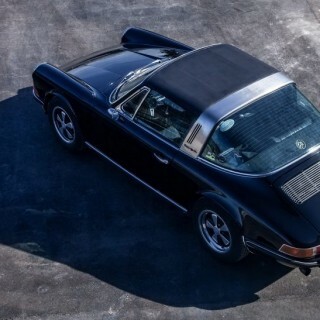 This makes driving even safer. 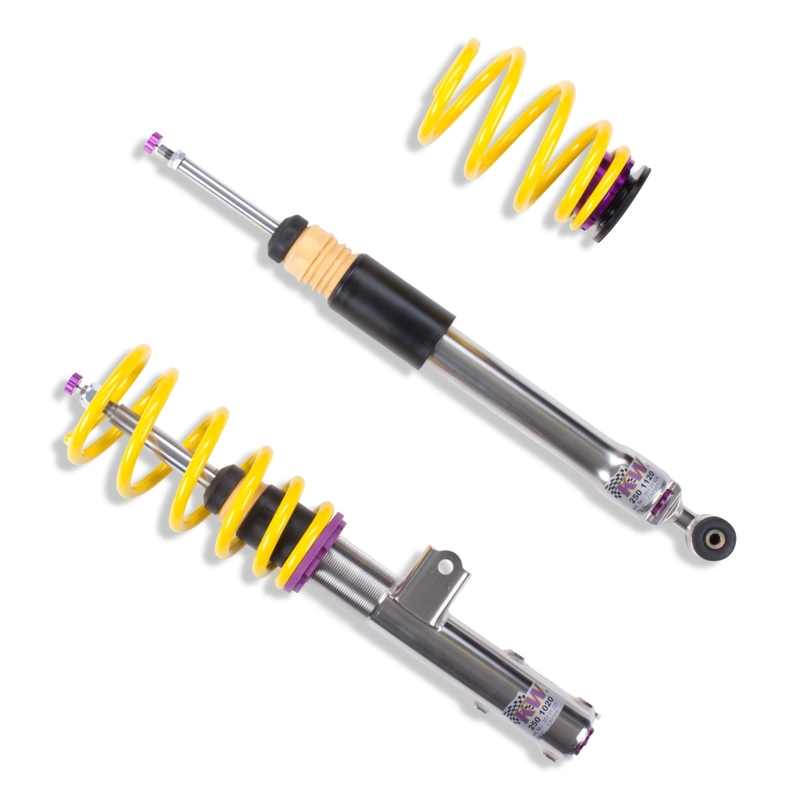 With Variant 3 KW coilovers, it is easy to choose a continuous lowering. 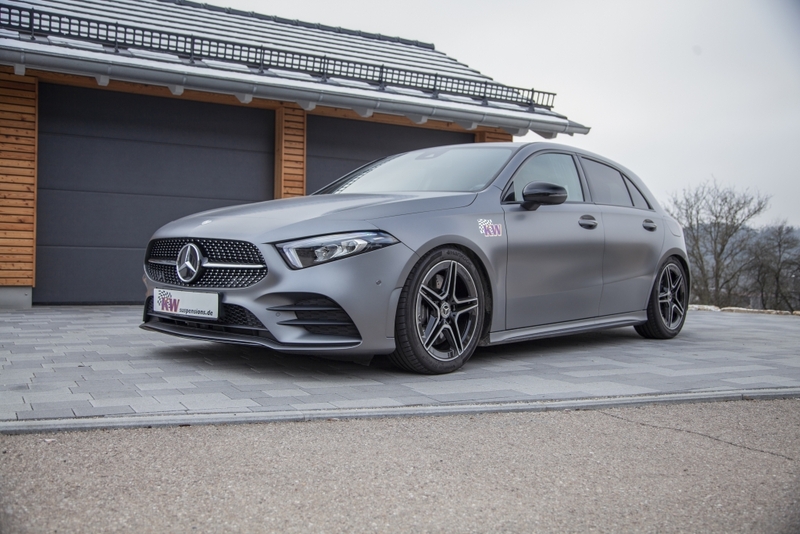 The coilover kit allows to lower the Mercedes-Benz A-Class at the front axle 30 to 50 mm and from 25 to 50 mm at the rear axle, despite the lower center of gravity. 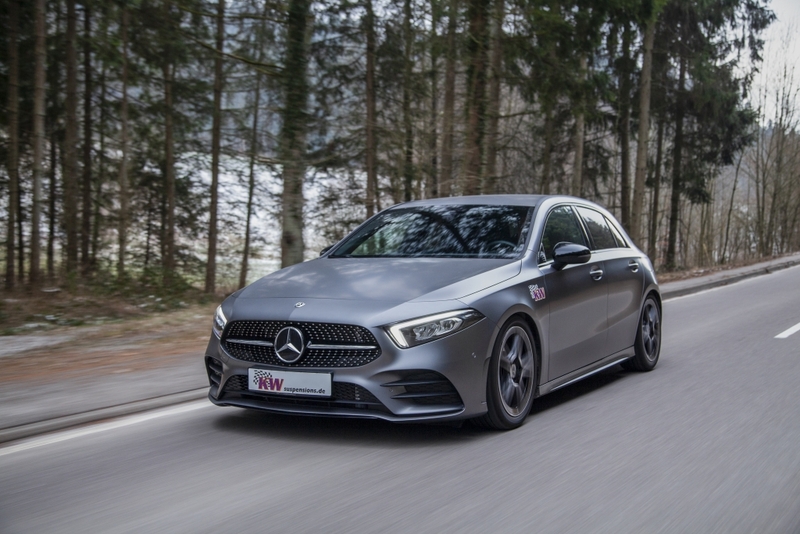 Soon there will be also available the KW Clubsport, the KW Street Comfort and the KW Variant 1 for the latest Mercedes-Benz A-Class (W177).